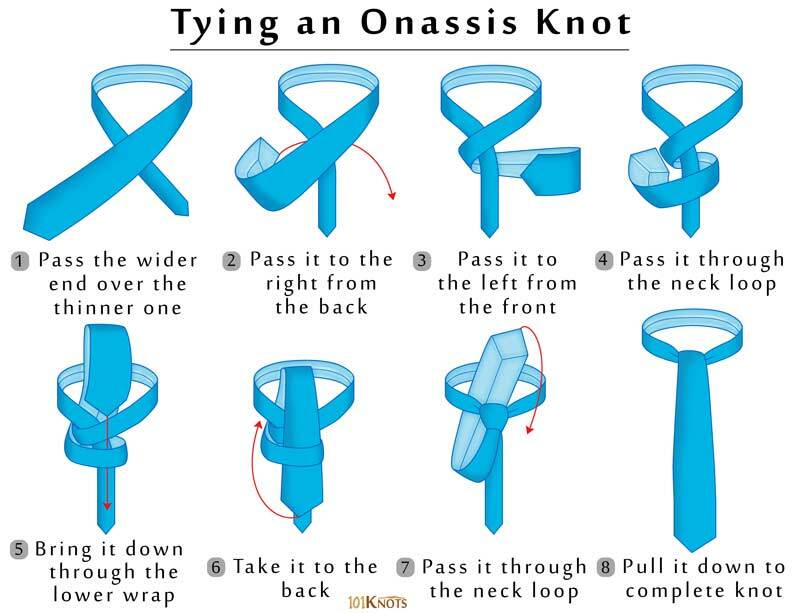 The Onassis knot is named after the shipping tycoon Aristotle Onassis. It suits women who prefer wearing ties. 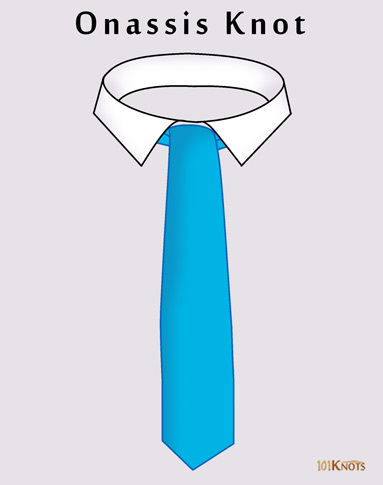 The material of the necktie knot should not be thick. It is suitable for proms and casual occasions. The knot goes well with stylish ties and is highly symmetrical. It uses almost the same length of fabric as the full Windsor. The absence of the knot from view brings the focus on the tie itself. Hence it’s a good knot for showcasing a cool tie pattern. Loses its appeal with plain ties of solid color. Looks splendid with a vest. Great necktie to flaunt a clip or pin. Looks good with widespread collars. Four in hand knot – Better suited for formal occasions.